The phrase “gold standard,” was tossed around from Johnson & Johnson’s Ethicon’s Gynecare’s attorneys in the latest trial where the plaintiff’s attorney referred to the damage done to his client as “malice” and the CA jury agreed awarding plaintiff, Coleen Perry $5.7 million in damages. 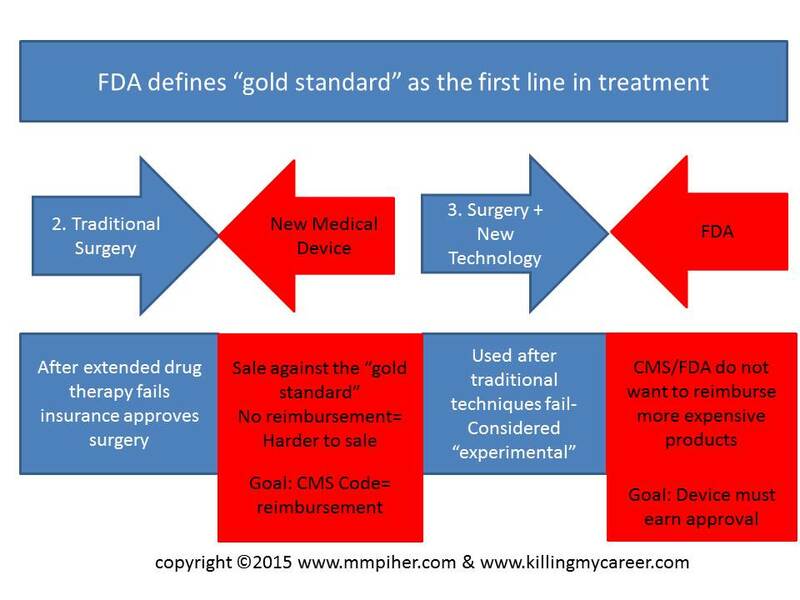 Any experienced device rep will tell you that medical devices sale against the “gold standard,” and are not the “gold standard.” The FDA defines the “gold standard” as the first in line treatment. Meaning what’s been done for 50 years likely qualifies as the standard. (Very simplified: drug therapy first, surgery second, and newest technology (medical devices) third). 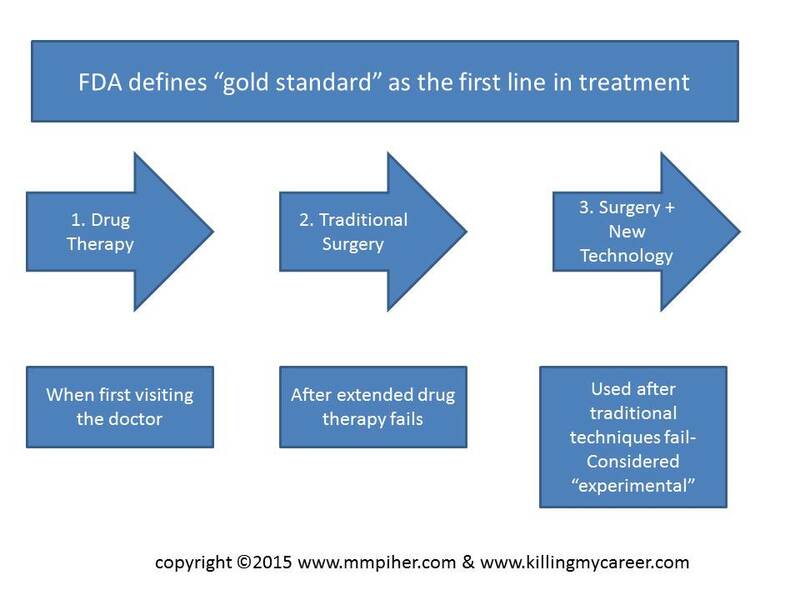 There is no credentialing required for a company or surgeon to glob on to the phrase “gold standard” and use it in their marketing of a device or procedure. This phrase in medicine should go by way of “paradigm shift” in the business world. Both phrases have been ruined by misuse or intentionally misuse by the corrupt in order to manipulate patients or consumers for their benefit. Meaning these words no longer have any value. The problem is that people sitting on a jury (and this is not demeaning or insulting anyone’s intelligence) may not know these words no longer have any meaning. For example: Johnson & Johnson’s attorneys hiding behind nameless doctors who consider the mesh in Abbrevo as the “gold standard,” and, similar yet slightly different “are considered by many” from spokeswoman for Johnson & Johnson Sheri Woodruff further illustrate that point. Those are impressive words coming from impressive people and could be viewed as manipulation of the facts as many jurors may not be familiar with the medical industry or its jargon. It’s not known if the it’s explained to the jury that the phrase “gold standard” is clinically meaningless and really just a marketing phrase; and, if it’s not explained then it’s a manipulation of facts and a tactic straight out of The Sociopathic Business Model™. 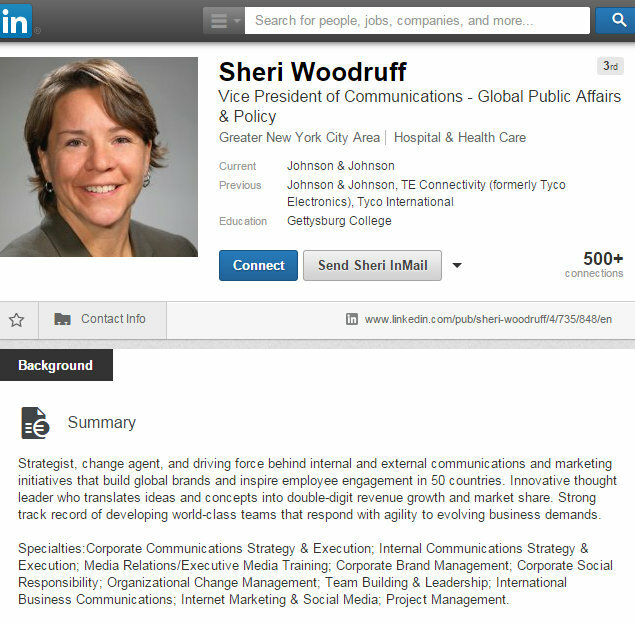 Sheri Woodruff went from financial communications at GM (another amazing company known for its transprency deadly CEO) and now is VP of Communications-Global Public Affairs & Policy for Johnson & Johnson-but what’s noticeably missing from her esteemed LinkenIn page is where she went to medical school. 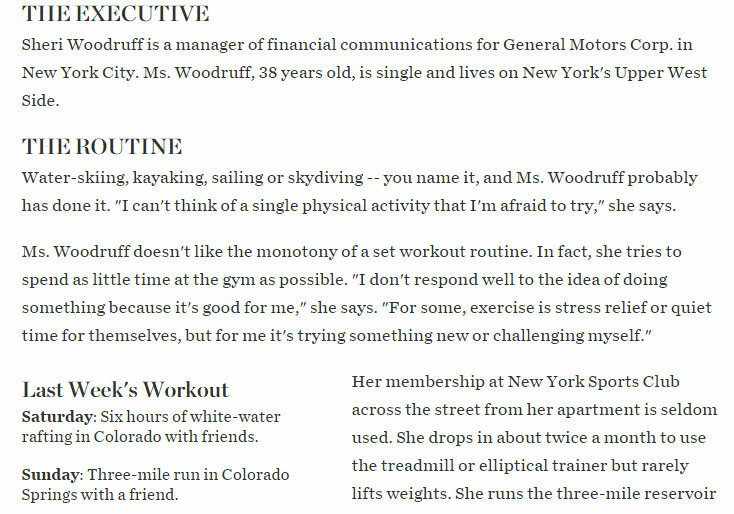 I’m sure the mesh victims, many of whom were very active prior to implantation, would be happy to see Sheri Woodruff likes to white-water raft & in get a three-mile run during her week while making glib statments like “gold standard” without a medical degree as it relates to their health and all that they’ve lost. Medical devices are a new technology (3 below) and by the FDA/CMS guidelines should be used only after traditional surgery fails and why all new medical devices are labeled “experimental.” CMS does not give new devices billing codes (and hospitals won’t order devices unless they know they’ll get reimbursed-they need a code). This obviously conflicts with the goals of the device companies who are pushing for the advancements to be used earlier. The FDA approved the products (even the experimental ones) they just don’t want to pay for them. This is a reimbursement issue and not a safety issue in the purest form (that’s not the same as saying mesh is safe-that’s a different issue entirely). And somewhere in the middle of both is true goal which protects patients and also provides them with quality products. It can’t. And in the case of mesh it’s neither. The “gold standard” is traditional surgery using the patient’s own fascia with tradional sutures. The FDA approved the products and initially calls the device “experimental” to avoid paying for the more expensive procedures for their patients. Once the procedures get traction in the hospitals (despite the billing challenges) the FDA will grant the device or likely the procedure a code making it easier to sell and for the hospitals to get reimbursed from private insurance companies. 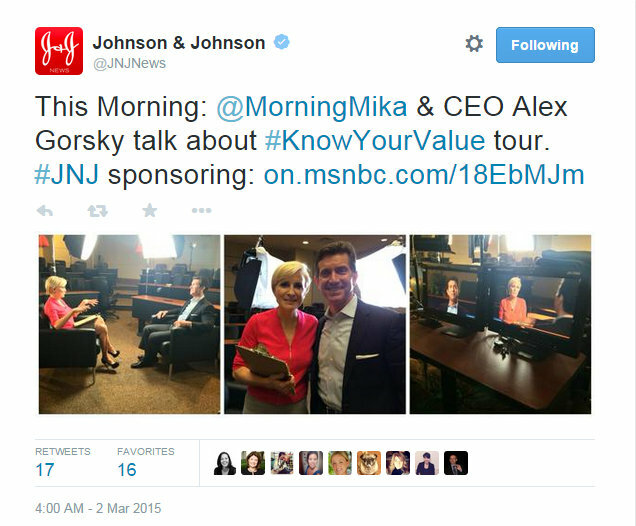 @MorningMika#CE(N)O#CleanUpYourMesh JNJ#Essure Problems#HashtagHijacking#KnowYourValue#MMpiHerMethodFDA defines the "gold standard" as the first in line treatmentJanet Nicholas BeyerJNJJohnson & Johnson spokesperson Sheri Woodruff should be named in every mesh incontinence caseMesh ProblemsPolypropylenePRSpin Gold StandardPRSpinUnSpun Gold StandardReuters Jessica DyeSuki MannWall Street Journal Sheri WoodruffWhat does it mean when a medical device is classified as experimental? Both of these ugly products, dispersal, the drug, and pelvic surgical mesh,the device, wreak havoc on the very core of a person’s sexuality.